We have a variety of activities for you to take part in. If you'd like more information either contact our church directly or use the contact details (where provided) below. Meets Monday at 1.30 pm in the Upstairs Lounge. We do a variety of handcrafts ranging from knitting and crochet to stitching and papercraft. New faces will get a warm welcome. For more information see www.christianityexplored.org or email to find out when the next course starts..
Are you an Adult with Learning Difficulties? (16 - 80+), or the carer for someone? Then we have a new group just for you, it meets 1st. Wednesday of each month at 7:30pm. The group is run for school age children with learning disabilities, siblings are also welcome to attend. 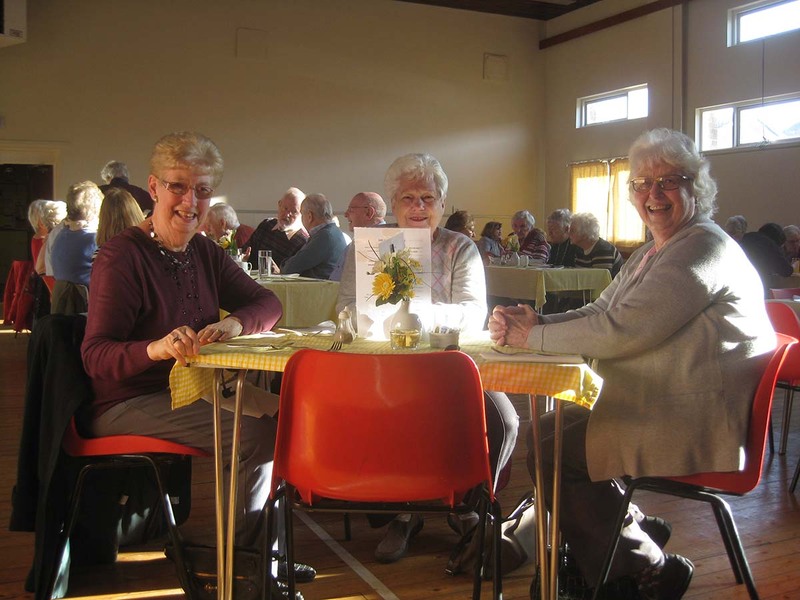 The group meets every 2nd Wednesday in the church hall. The aim is to provide an opportunity for the young people to meet and mix freely in a safe Christian environment. A varied programme is followed including Bible stories, singing, puppets, parachute and other games, arts & crafts, always finishing with snack time. Parents and carers join in at the start of the evening before going off to another room for coffee and a chat, where they appreciate the opportunity of supporting each other and discussing any problems or difficulties. 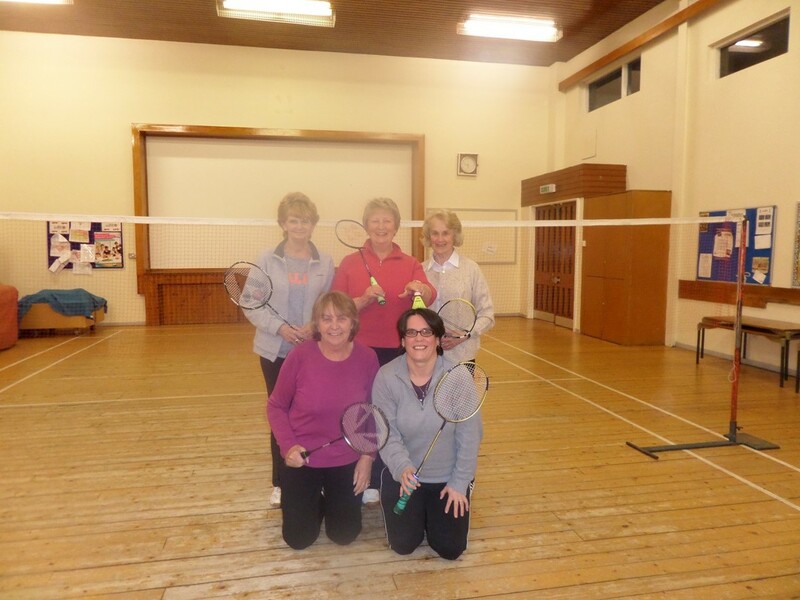 Some of our happy badminton group, why not join them on a Wednesday evening? New members are always welcome. 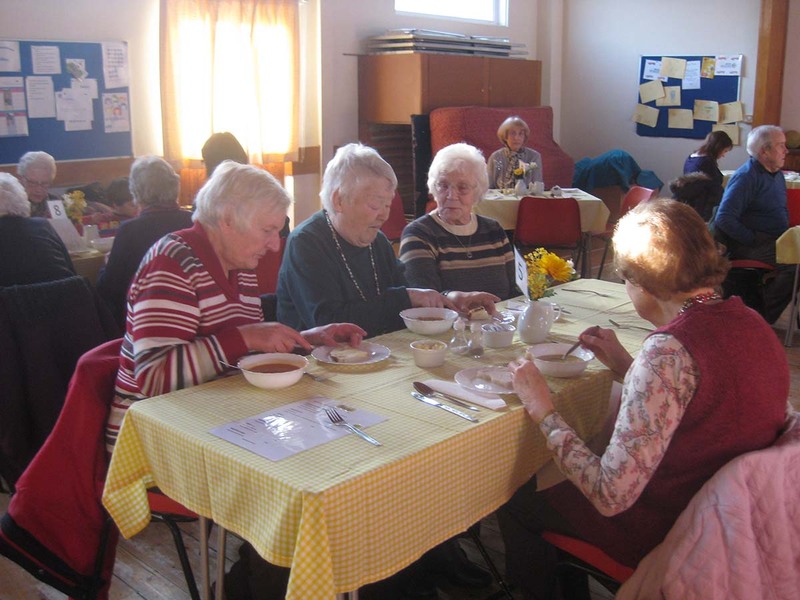 The club meets on Wednesday evenings at 8 o’clock and we usually finish before 10. Our current membership is just nine so we would be delighted to welcome some new members. There are no age limits so why not bring along a family member and new players to the game are also welcome. There are no weekly subscriptions, but we pay an annual subscription of £25 at the start of the year. This covers our payment to the church for the use of the hall and also things like shuttlecocks and “cake nights”. Most of you members have played for manty years and we like to think that the club has a friendly and happy atmosphere. Anyone interested should contact Christine Grant on 01360 729009 or contact the church office. We meet in the Church Halls at 7.30pm on Monday evenings from October till Easter. We mainly have Games Nights - table tennis, snooker, pool, carpet bowls, darts and dominoes and run friendly competitions during the session for these games. Click here for more info. For information on Bible Study check out the Notices on the Services Page. Young peoples' group meets regularly on Sunday evenings for Bible Study and fellowship.